As a feminist psychotherapist, I have always been interested in working in the community to address the conditions that lead people into my office to begin with. On a Tuesday morning in September 2004, I met with a group of passionate high school youth who wanted to do something about the epidemic of eating disorders and body dissatisfaction in their school. I loved the peer education model developed by The Body Positive and jumped in without really knowing what I was doing, what impact it might have, or how it would change my life. 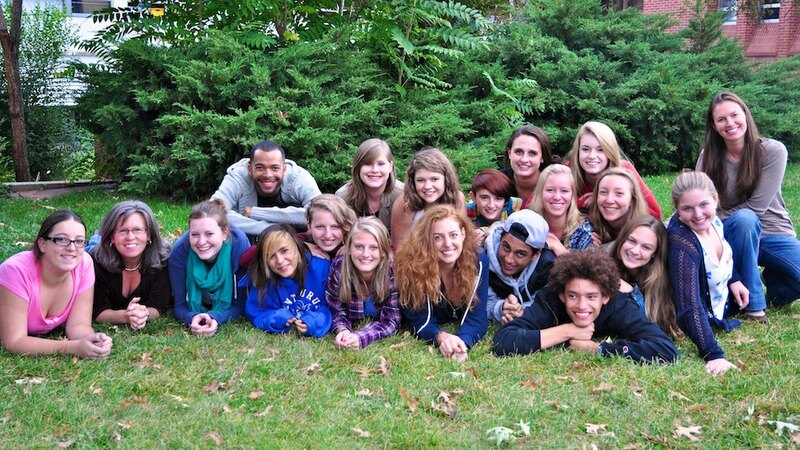 Boulder Youth Body Alliance (2012-13). For the past nine years, I have been working with teens at Boulder Youth Body Alliance (BYBA). We invite youth into a different way of thinking, enhancing their well-being by improving their attitudes and behaviors related to food, movement and body image and giving them opportunities to go beyond awareness to action with skill-building and practice. BYBA equips youth with the ability to make their own changes, with adults serving as allies, celebrating the rich diversity that human bodies hold, and practicing embodied social justice. Creighton and Kivel state that being strong and powerful adult allies to young people means shifting our emphasis from raising their self-esteem to increasing their power. We live in a society that tends to devalue the voices of young people, and that certainly does not give them much power. There are few things more exhilarating to me than helping young people find their voice and own their power. I see my job as asking the right questions, and then getting out of the way so they can shine. On a grassroots level, youth learn to take action in their everyday lives through the personal interactions they have with friends and teachers. They learn how to stand up in the face of appearance-related teasing, speak up in a classroom to let peers know where they can find support; talk with their parents about how their comments about their own bodies affect their sons and daughters; and talk with teachers about the ways their comments can affect teens. They act as role models and learn to embody what they teach. Feedback confirms that the most impactful thing about the message from our peer leaders is that they share their personal journeys towards self-love. We spend a good deal of time talking about what gets in the way of taking a stand – especially the fear and anxiety that comes from speaking up to those in positions of power. We do a lot of role-playing, and then I look for opportunities for the youth to try it out. Or, more often, listen for the opportunities that they themselves bring up, and gently encourage them to take a risk. During a health class last year, the teacher asked everyone to calculate their BMI. Students were asked to go around the room and share, and those who were in the “normal” weight category received applause (I’m not kidding). My cell phone lit up with texts from the peer leaders who were in that classroom, upset and outraged, and asking me what they should do. One of them raised her hand, talked about what she had learned about the origins of the BMI, told them about the Health At Every Size® model, and put BYBA’s contact info on the board. To be honest, I don’t remember what the teacher’s response was. For me, the process of that student being able to take a stand was more important than the outcome. And, sometimes the outcomes are amazing. 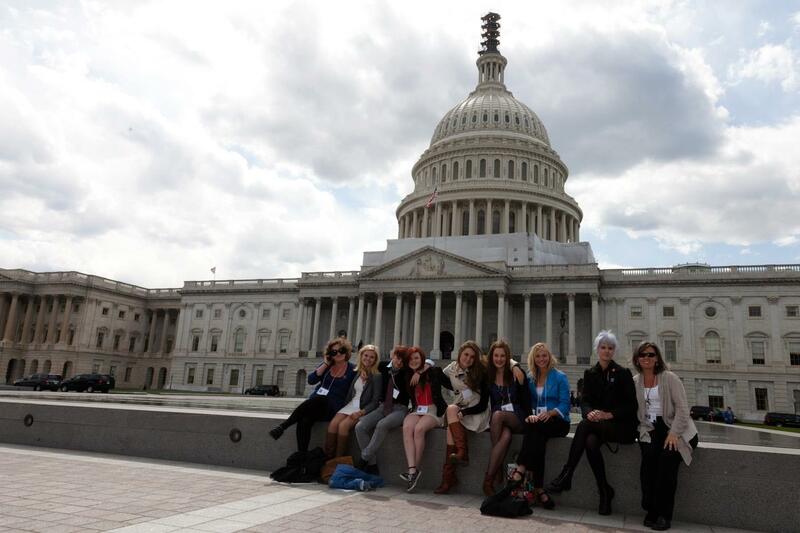 We travel to Washington DC each year to lobby for the Federal Response to Eliminate Eating Disorders (FREED) Act. Through their advocacy, our kids have been able to get four Congressional Representatives to sign on as co-sponsors of the bill. Advocating for the Federal Response to Eliminate Eating Disorders (FREED) Act. In our meetings together, we look at the web of oppression, discussing how power is distributed and how oppression shows up ideologically, institutionally, interpersonally, and internally. A couple of years ago, as we talked about how weight stigma appears in these different ways, the kids noticed that the anti-discrimination policy of their school district didn’t include height/weight. They wanted to see that change. They began circulating petitions around their schools, and meeting with other community groups that might be supportive. They researched stories about appearance-related bullying, looked at other school districts across the country that did include this in their policies, and signed up to address the school board. They spoke from their own personal experiences of being at school and what they observe. The Board was receptive and agreed to look into it. We continued to work with school administrators, who let us know that enacting a policy change was a lengthy process. The kids were asked if it would be enough to address the issue through curriculum in health class. They said, politely, “no way.” They were committed to seeing this initiative through and wanted a policy change. Neil, one of our peer leaders, shared that “I have been harassed because of my ethnicity. I have been harassed because of my religion. But being harassed because of my physical appearance was what hurt the most because I knew that there were no policies that would protect me.” The students presented to the Board again this year, and Board members spoke directly to the kids, honoring their activism. I’m so happy to let you know that the School Board of the Boulder Valley School District unanimously passed the decision to add physical appearance to its anti-discrimination policy! Having elected officials, whether it’s their Congressional representative, or their School Board members, take action because of their activism will be milestone moments that these kids will remember forever. When I hear them say things like, “That was the most empowering experience I’ve ever had!” or “I’ve never felt so powerful in my whole life!”, I can feel the potential of what is possible when we can increase the power of young people. So awesome. So amazing. So inspiring. So grateful to you and to these kids for your passion, your enthusiasm, your energy and your commitment to social justice and to YOURSELVES. I love the work you do!! !